RS232/C bidirectional port (RJ11 connector) configurable for connection to external units. RS485 bidirectional port configurable for network connection. 2 photomosphet outputs 150 mA 48 Vac/150 mA 60 Vdc (NO) with configurable functions. 2 inputs (optoisolator photocouplers) 12 ÷ 24 Vdc, 5 mA min - 20 mA max, with configurable functions. 16-bit analogue output (DGT20IAN model) 4-20mA, 0-5Vdc choice or 0-10 Vdc. Maximum load applicable to the current output: 350 Ohm. Minimum load applicable to live output: 10K Ohm. A specific programme for using the indicator as a universal or multi-scale weight repeater (MASTER) in combination with DFW/DGT/MCW. mode that allows up to 32 independent scales to be repeated, with the ability to manage their functions, or to display and print the sum of the weights of all the scales. mode that allows weight repetition of any scale, by configuring the input string. 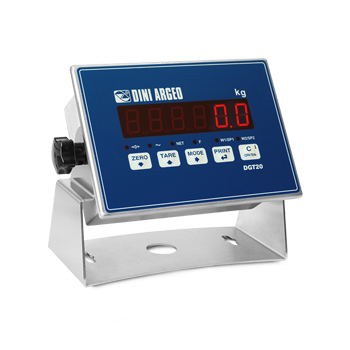 Weight indicator/transmitter with AISI 304 stainless steel multifunction case that guarantees an IP68 degree of protection both on bench and panel installations. Suitable for heavy industrial applications, for dosage, filling and level control systems. Easy to use 5-key waterproof keyboard. Highly efficient red LED display with 6 20-mm digits and 6 LEDs for showing active functions. -	Panel installation with IP68 degree of protection both front and rear, ideal for the chemical, pharmaceutical and food industry and harsh environments. -	Easy cabling, inspection and maintenance with front panel removal system. 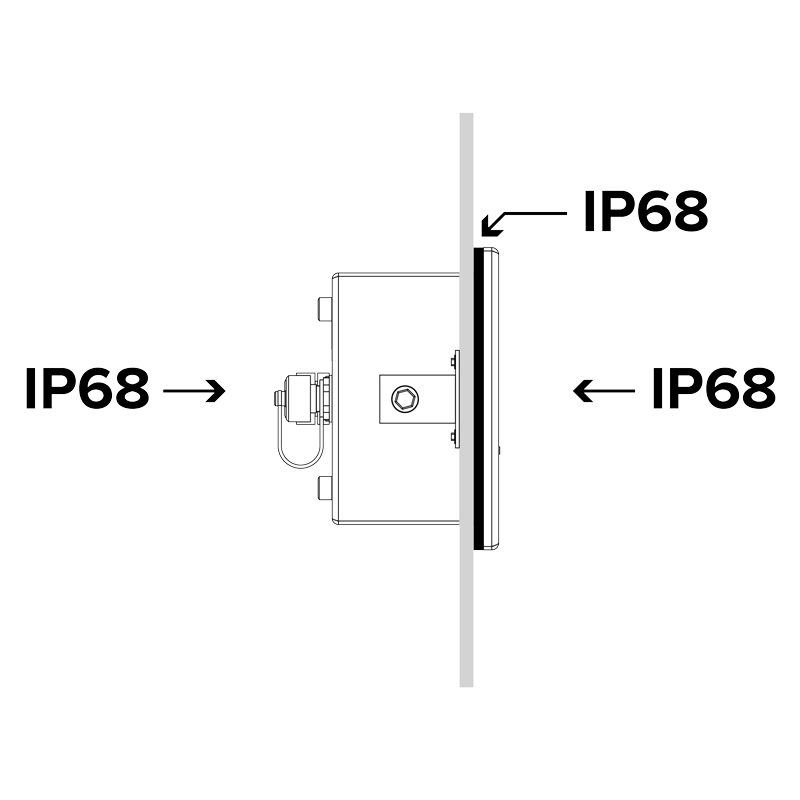 IP68 degree of protection, with both bench and panel installation. Dimensions 212x169,5x91mm, fitted with support bracket for table or wall mounting. Up to 8 signal linearization points with DINITOOLS (3 from keypad). Calibration, Set-Up parameters, configurable from keyboard or from PC with DINI TOOLS. Up to 10.000e OIML or 2 x 3000e @ 0,3 µV/d CE-M legal for trade. Up to 1.000.000 displayable divisions with internal resolution up to 3.000.000 points. A/D 24-bit sigma-delta conversion, up to 200 conv./sec. autoselect. Connectable with up to 8 analogue load cells with 350 Ohm input resistance. Management of a digitally equalised 4-cell weighing system or management of 4 independent weighing systems. From 12 Vdc to 24 Vdc power supply; 12Vdc power adapter included, fitted with an IP68 connector. Zeroing; Semi automatic and presettable tare, print and/or data transmission; ON/Stand-by. 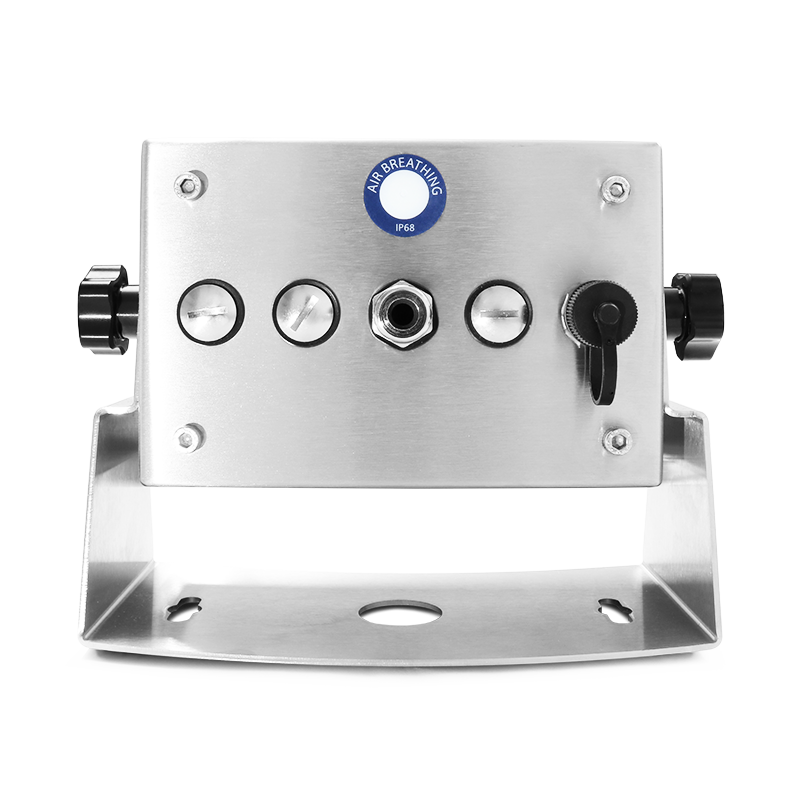 High Resolution Weighing x 10; Net/Gross or lb/kg conversion; Weighs totalisation; Formulation; Counting; In/Out Truck weighing; Hold e Peak. Simulation of key pressure; Keyboard lock. Set Point Control on the weight, either positive (in loading) or negative (in unloading), or on the pieces (counting mode), with programmable enabling/disabling thresholds, as direct check or upon weight stability. On all models: Reading of the net, gross, and tare weights; Clearing; Semi automatic and presettable tare; Scale switch; Setting of outputs activation thresholds. DGT20I and DGT20IAN models: Reading of microvolts or ADC converter for all the channels; Message display; Printing; Setting of APW in counting mode; Simulation of key pressure; MODBUS serial protocol. Analogue output proportional to the net or gross weight, either positive (in loading) or negative (in unloading). DGT20I Indicator for table/panel mounting with 2 IN and 2 OUT. 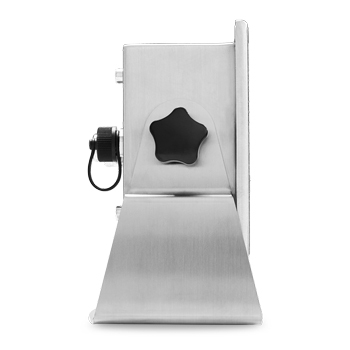 Stainless steel case, 5-key keypad, LED display, and standard weighing programme. DGT20IAN Indicator for table/panel mounting with 2 IN, 2 OUT, analogue output. 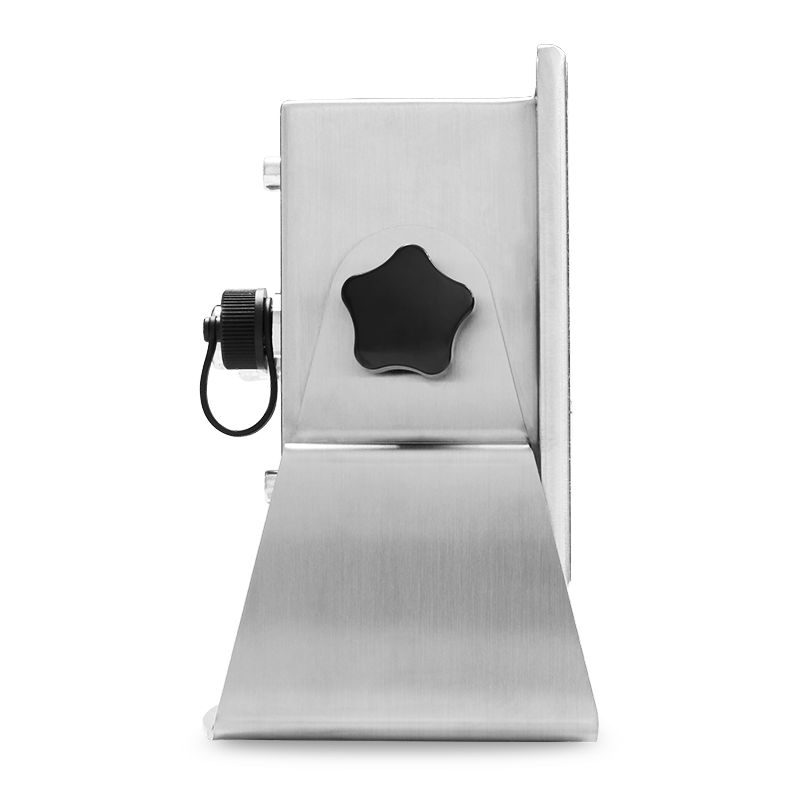 Stainless steel case, 5-key keypad, LED display, and standard weighing programme. DGT20ISTF Kit for panel installation. KCEM Plates and Welmec form for legal trade use of a scale. NET PRICE. 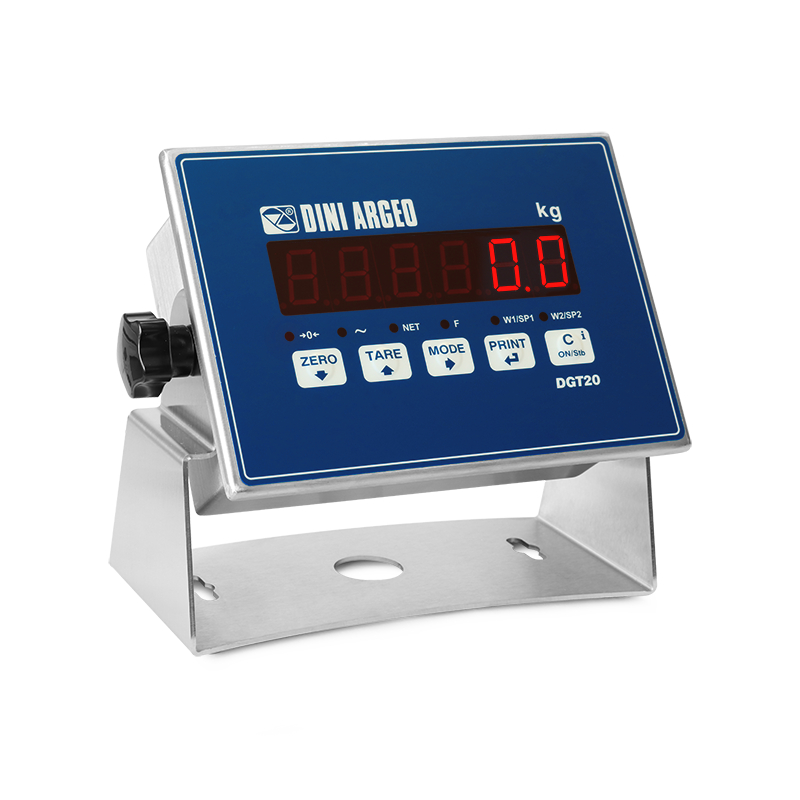 Service available in combination to a Dini Argeo indicator. MSTSLV Program for using the indicator as a repeater. It must be combined with the DFW and DGT weight indicators. OBTPRB (S1) Thermal printer in table version. 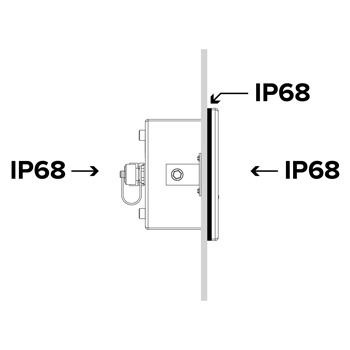 For weight indicator, with IP40 ABS case, 1,5 m connection cable and internal power adapter. 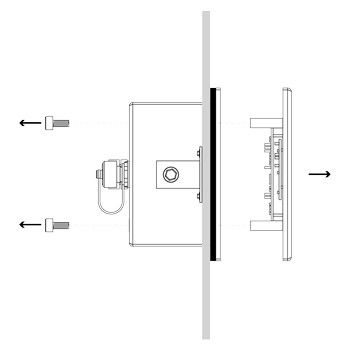 TPRP (S1) Thermal printer for panel mounting. Fitted with connection cable, 5V power supply (power adapter not included). TPRPCAL 5Vdc power supply unit. ALMEM (S1) Alibi memory (fiscal memory, max 120.000 weighs) for approved transmission of the weight to PC/PLC or data recording on MMC/USB. Real time clock integrated for print of the date/time. With UL marked PCB, Terminal block, plastic box and labels (if expected). SETHDIN-1 External RS232 / RS485 to Ethernet converter. Modbus RTU / Modbus TCP/IP (if compatible). Connectable to all Dini Argeo weight indicators via the serial port. ABS case for Omega / DIN bar. With UL marked PCB, Terminal block, plastic box and labels (if expected). RSCBUSB485 USB cable converter PC/RS485, l=1,5m. With metallic PG9 cable gland. To be combined with an indicator fitted with optional or standard RS485 output. DFCLK (S1) Real time clock for printing/displaying of the date and time. With UL marked PCB, Terminal block, plastic box and labels (if expected). ZBA1S Intrinsic protection three channel Zener barrier. 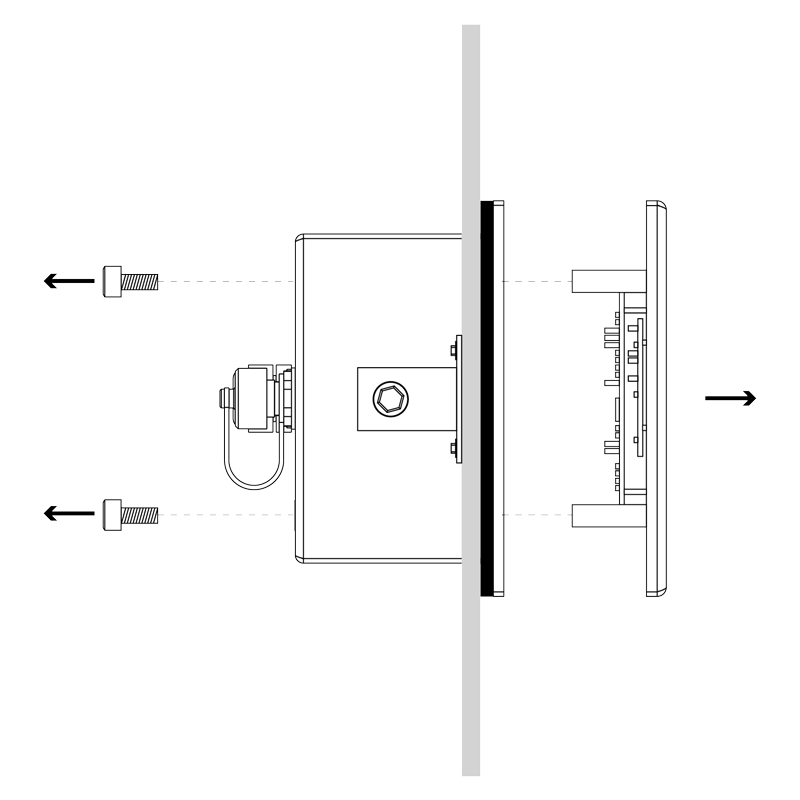 Specific for connection to load cells, for mounting on DIN rail in a safe area, or in a hazardous-proof case. Marking: ATEX/IECEx II (1) GD [Ex ia Ga] IIC [Ex ia Da] IIIC. Manual and ATEX UE CONFORMITY DECLARATIONS (available in EN, DE, FR, ES and IT). KZBA ATEX ABS housing kit with Zener Barrier ZBA1S for load cells. For intrinsically safe weighing systems in an explosive zone. Dimensions 180x180x150mm.Can connect up to 4 Load Cell of 350 Ohm. Marking of housing + Zener Barrier ZBA1S: ATEX II 3(1)G Ex nA [ia Ga] IIC T4 Gc (-20°C ≤ Ta ≤ +50°C) for gas, ATEX II 3(1)D Ex tb [ia Da] IIIC T130°C Dc IP65 (-20°C ≤ Ta ≤ +50°C) for dust. Manual and ATEX UE CONFORMITY DECLARATIONS (available in EN, DE, FR, ES and IT). KMB4 Kit of 3 ATEX zener barriers for load cells, in an ABS box. For up to 4 load cells of 350 ohm, for intrinsic protection weighing systems in an hazardous area. Marking of the whole box with three Zener barriers: ATEX II 3(1)G Ex nA [ia Ga] IIC T4 Gc (-20°C ≤ Ta ≤ +40°C) for gas, ATEX II 3(1)D Ex tb [ia Da] IIIC T130°C Dc IP65 (-20°C ≤ Ta ≤ +40°C) for dusts. DCATEXMB4 ATEX declaration of the whole for systems with zener barriers. Ex II 2GD IIC T6 T125°C X system, with relative label of whole system, for weight indicator connected to Dini Argeo zener barriers, connected to a mechanical structure with ATEX load cells (each cell must be certified with CCATEX option). JB4QA ABS IP67, ATEX, equalisation box for up to 4 cells. 4 + 1 fairleads. Protection modes: ATEX II 2G Ex ib IIC T6 Gb for gases, ATEX II 2D Ex tb IIIC T115°C Db IP65 for dusts. Complete with manual and ATEX CE CONFORMITY DECLARATIONS (available in EN, DE, FR and IT). 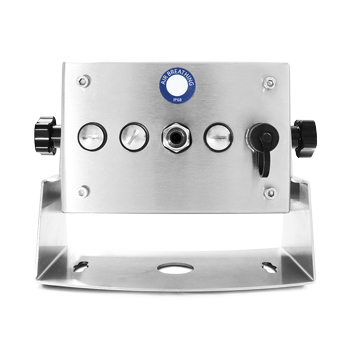 JB4QAI Stainless steel IP66, ATEX, equalisation box for up to 4 cells. 4 + 1 fairleads. Protection modes: ATEX II 2G Ex ib IIC T6 Gb for gases, ATEX II 2D Ex tb IIIC T115°C Db IP65 for dusts. Complete with manual and ATEX CE CONFORMITY DECLARATIONS (available in EN, DE, FR and IT). TECSUP Technical assistance by telephone. NET Hourly price. TECMAN Printed technical manual. (Free, if downloaded from the web). € NET. UMAN Printed user manual. (Free if downloaded from the web). € NET.